Check out this gently-used 2017 Land Rover Discovery we recently got in. This Land Rover includes: FULL-SIZE SPARE WHEEL HEATED WINDSHIELD FRONT CENTER CONSOLE COOLER COMPARTMENT SEAT PACKAGE 4 Seat Memory Power Passenger Seat Power Driver Seat Heated Front Seat(s) Passenger Adjustable Lumbar Driver Adjustable Lumbar Bucket Seats AUTONOMOUS EMERGENCY BRAKING PREFERRED OPTION: EBONY HEADLINING CORRIS GREY METALLIC WHEELS: 20 10 SPLIT-SPOKE *Note - For third party subscriptions or services, please contact the dealer for more information. * This 2017 Land Rover Discovery comes with a CARFAX Buyback Guarantee, which means you can buy with certainty. 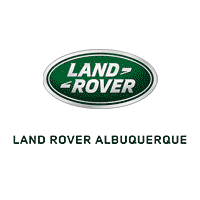 We at Jaguar Land Rover Albuquerque are very meticulous. This hand-selected Certified Pre-Owned vehicle has surpassed our own standards and requirements. As a compact SUV, this vehicle packs all the performance of a full-size into a package that easily navigates the urban terrain. Opulent refinements married with exceptional engineering make this the kind of car you'll want to own for a lifetime. Handle any terrain with ease thanks to this grippy 4WD. Whether you're on a slick pavement or exploring the back country, you'll be able to do it with confidence. Low, low mileage coupled with an exacting maintenance program make this vehicle a rare find. Intricately stitched leather and ergonomic design seats are among the details in which test drivers say that Land Rover Discovery is in a league of its own Find the quickest driving route in this Land Rover Discovery HSE Luxury using the installed navigation system. This nav system is one of the easiest to use and will help get you where you need to go quickly! This 2019 Land Rover Range Rover Evoque SE is proudly offered by Land Rover Santa Fe Want more room? Want more style? This Land Rover Range Rover Evoque is the vehicle for you. You deserve a vehicle designed for higher expectations. This Land Rover Range Rover Evoque delivers with a luxurious, well-appointed interior and world-class engineering. Take home this Land Rover Range Rover Evoque SE, and you will have the power of 4WD. It's a great feature when you need to drive over tricky terrain or through inclement weather. Just what you've been looking for. With quality in mind, this vehicle is the perfect addition to take home.